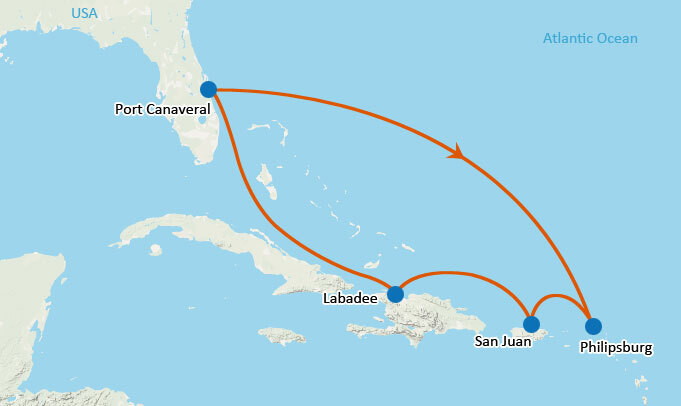 The Eastern Caribbean Itinerary takes you to Phillipsburg, San Juan, Labadee and back to Port Canaveral. 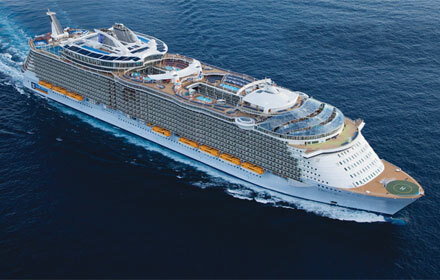 Sail on one of the biggest cruise ship that when launched revolutionised the cruising industry. 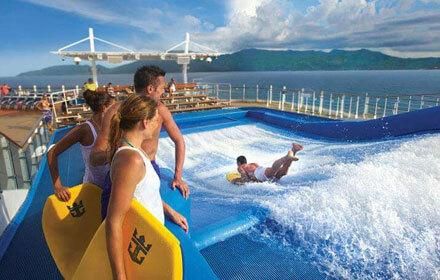 The 7 Night Eastern Caribbean takes you to exciting and romantic places. 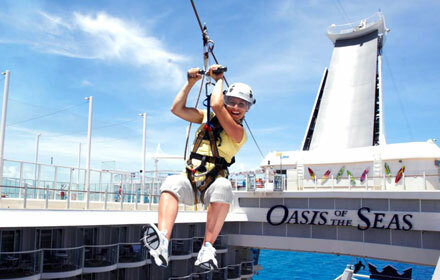 One can never get bored on the Oasis of the Seas, she is a city in itself. 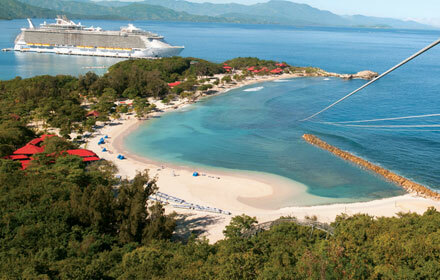 Labadee, Royal Caribbean’s private island boasts some of the most beautiful beaches in the Caribbean. Kick back in a lounge chair and sip a drink under a thatched canopy, or go walking for shells along the white sand beaches. -- Day at leisure. Please call us for show excursion details. 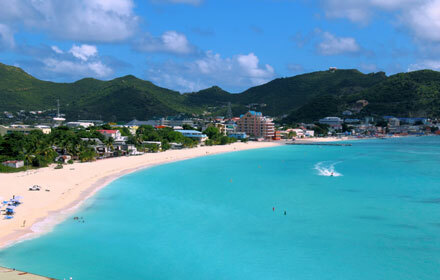 Philipsburg, Netherlands Antilles 08:00 am 5:00 pm Day at leisure. Please call us for show excursion details. San Juan, Puerto Rico 09:30am 5:00 pm Day at leisure. Please call us for show excursion details. Labadee, Haiti 09:30 am 5:00 pm Day at leisure. Please call us for show excursion details. Orlando, Port Canaveral 6:00 am -- Please disembark after breakfast. 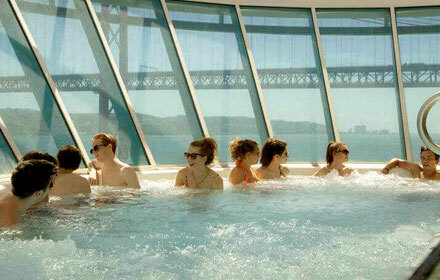 You’ll never miss a moment of the breathtaking scenery on your cruise vacation with an Ocean View stateroom. Spend the day exploring the world, then come back onboard and take in the spectacular sights and amazing views from the comfort of your stateroom. The property is 4 minutes walk from the beach. 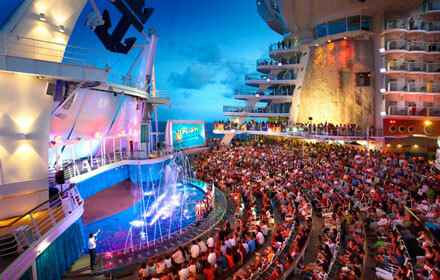 This hotel is one block from the Atlantic Ocean and 5 minutes from Port Canaveral. The beach hotel features a game room and outdoor courtyard with volleyball courts. Resort Comfort Inn Cocoa Beach provides a gym and business center on site. An outdoor pool with hot tub, volleyball court, children’s playground and barbecue grills are also located in the courtyard. Kennedy Space Center is a 30-minute drive from the Comfort Inn and Suites Resort near Cocoa Beach. Port Canaveral is 6.9 km away. 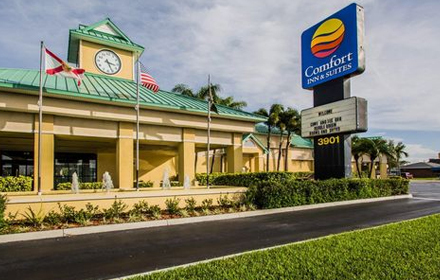 Comfort Inn and Suites Resort Cocoa Beach was opened since Jan 2011.